Precisely one year to the date of when I first did this walk on my own, I’d arranged to lead the walking group around the same course, in the run-up to Christmas. Heavy snow had breached the heights of South Wales one week earlier… My only concern that morning was the risk of icy roads and winds up to 40mph… All the snow would be gone by now, right? This entry was posted in Wales and tagged bigfoot, Black Hill, Black Mountains, Brunel Walking Group, Crib Y Garth, Hay Bluff, Herefordshire, Olchon Valley, snow, The Cat's Back, trig pillar, trig point, Wales, walk leading on 23/01/2018 by Olly Parry-Jones. 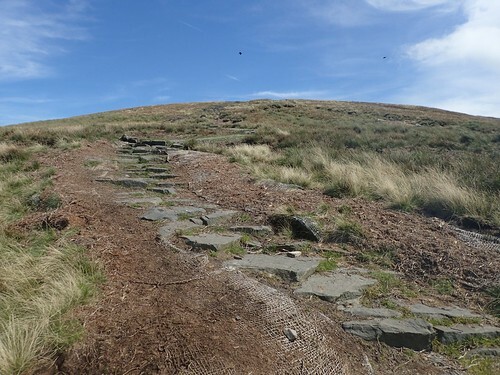 It’s with great coincidence in the timing of this post, that I come to write about my repeat of what was my first walk in the Black Mountains of South Wales. You’ll read about that another day. Tracing back to the end of October and this wasn’t just a return visit; it was an opportunity for a YouTube meetup with Mark from Wye Explorer. This entry was posted in Wales and tagged Black Hill, Black Mountains, Crib Y Garth, Hay Bluff, Herefordshire, Pen Y Beacon, The Cat's Back, trig pillar, trig point, Wales, Wye Explorer on 18/12/2017 by Olly Parry-Jones. Would the cloud clear in time for our arrival? 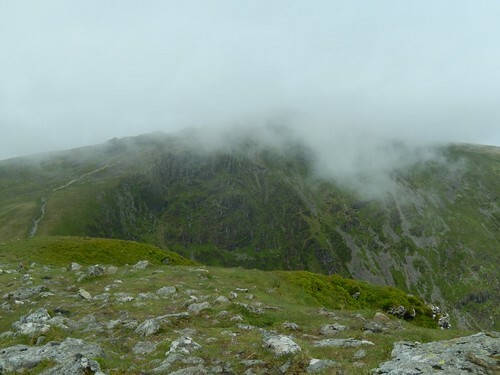 This entry was posted in Wales and tagged Brunel Walking Group, Cadair Idris, Cader Idris, Dol-y-cae, Dolgellau, Gwynedd, hiking, Llyn Cau, mid Wales, Minfford Path, mountain, Mynydd Moel, Penygadair, Snowdonia, The Ramblers, trig pillar 80, trig point, Wales, Walking on 20/08/2017 by Olly Parry-Jones.